Yes, I know that the song is really “Black Betty”, but it is kind of catchy, don’t you think? I don’t know about you but Black Friday always seems to sound like such a creepy day that I think it needs something like a theme song. I’ve never quite figured out why a day that kicks off the holiday shopping season has such a dreary name. 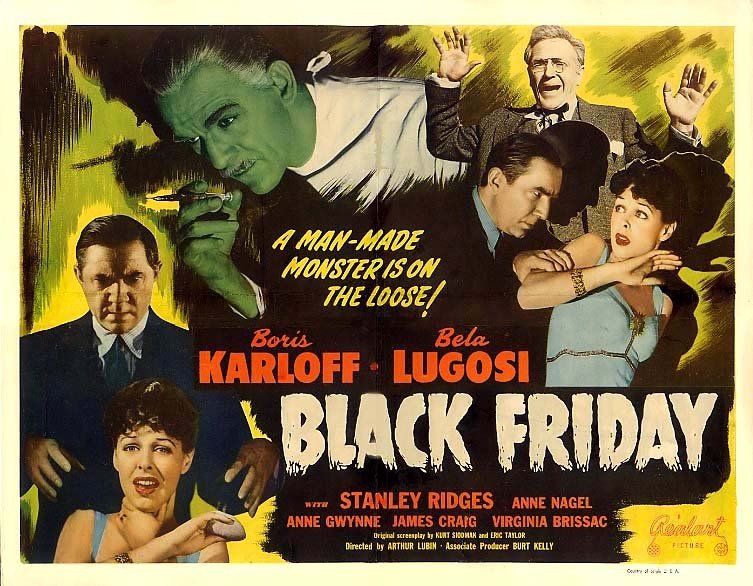 Black Friday… it reminds me of a day that we should either be in mourning or scaring the living daylights out of each other… “Move over Halloween, it’s Black Friday… Bwahhhahahaha….”. I realize that the whole “Black” thing has to do with some accounting term about being on the good side of the economic table, but even having to explain the term “Black Friday” is so boring…. It seems like they could have created a name that is a bit more appealing to the laypeople. Maybe they could have named it- “Really Big Sale Friday” or “Crazy Standing in Line Friday” or “Fight for your Deal Friday” or “Be Kind Friday”(Sending out a subliminal message, of course) or “Spend Lots of Money Friday” or “Camp Out Friday”… Do you realize how hard it is to convince a 7 year-old that you don’t have to dress in black on Black Friday?? Let’s just say that she now has a new black T-shirt…. Regardless of why it is called what it is, I have never really been a fan of it. I have gone out a few times during the early morning hours but I will have to say that each time was only because my sister-in-law was at my house and I went to keep her company. I’m more of a 10:00am, catch the mid-morning deals, type person, but when I’ve gone with her I admittedly have found a bargain or two. Though there was no way to count, I couldn’t believe what I was seeing.. hundreds, maybe even thousands of people…. there was a line that stretched amazingly around the whole mall building. I couldn’t imagine that this could be the line for Toys R Us. (Apparently, Zhu Zhu pets had gone under my toy radar and I was oblivious to the Zhu Zhu pet craze that allowed parents to actually get their child a clean smelling hamster..not a real one but close enough)…….As it turned out it was the line for the toy store or at least that is what we were led to believe. We walked to the back of the line and answered as cars passed by and asked us if we were in the Toys R Us line. We would nod our heads and shrug our shoulders at the same time because we, just like everyone else, just went to the back of the line without checking to see where the line went. So, our assumption was that we, along with everyone else in Lexington, were waiting to go buy toys. After a few minutes and a dozen or so cars asking if we were standing in line for the toy store, I decided to be bold and venture to the front of the mall area to just make sure that we weren’t standing in line for the makeup or furniture store. 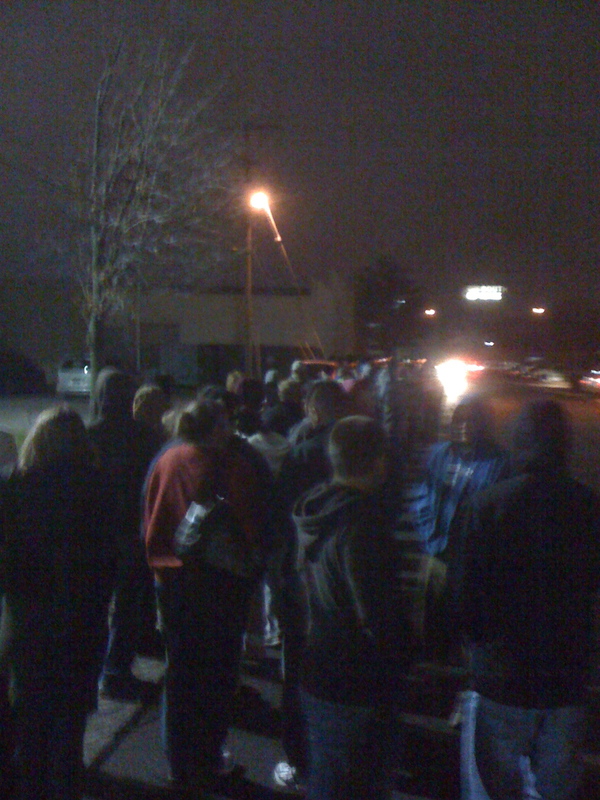 (I know, I know… no one would stand in line for a furniture store…makeup maybe but not furniture) What do you know, we were in the correct line. But there is a catch to this…. it wasn’t the only line. There was another line that was about 1/20 the size of the other line. I got in the short line and called my sister-in-law to come join me and we giggled the rest of the time at our Black Friday maneuvers. Oh, the memories…..
We tackled the Walmart bargains and again went to get in line to check out. I double checked my basket to see if it was worth the wait…. the line stretched completely from the front of the store to the very back of the garden center (for non-Walmart consumers, that is a long line) and yes, my goodies were worth the wait. So we started walking to the back of the long line and it hit me… we were just assuming that this was the only line… while my sister-in-law waited in line, I again took off and navigated to the front of the store to scout out the line construction…. little surpise to find out that there were plenty of two to three people lines but those in the long line had no idea. I’ve thought a lot about those lines since Friday. I think I was amazed at how easy it is just to get in line and not really know what lies ahead. Everyone else seemed so confident and patient in those long lines… as if it was inevitable that the long line was the only line available… looking around at the confidence and patience it seemed as if it was the natural thing just to fall into that line, no questions asked… How easy that is with a spiritual walk as well…we know the relationship we need to have with God but then we look around and everyone else seems to be heading for that big long line… they talk the talk, whether it be faith filled or anti-faith filled talk, and seem very confident so we tend to just get into that line because it seems to be leading in the right direction. We have no idea where it really leads but we scoot along blindly missing so much because we didn’t venture away. I’m wondering how many people live their daily lives thinking that they are in the best line… maybe they are longing for something different, knowing that there is a shorter line out there just waiting… or maybe they are content to find out that others passed them by….I’m not pointing a finger a any one group of people…there could be many. What line are you in? Are you tired of living in the long line? Have you stepped away to find the short line? It is out there… seek it, you’ll find it. After my Black Friday adventure I went home, fixed some breakfast and fell asleep. Pretty sure now that the whole Black Friday name is because of the sleep you have to catch up on when you get home… well, deserved name then, I guess. My father asked me if I enjoyed myself and I believe I said that I would never do that again…. well, at least until next year. 17 I am warning you ahead of time, dear friends. Be on guard so that you will not be carried away by the errors of these wicked people and lose your own secure footing. 18 Rather, you must grow in the grace and knowledge of our Lord and Savior Jesus Christ.